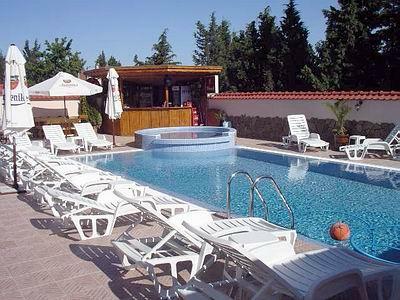 St Anthony Hotel is situated on the slopes of Stara planina (The Balkan range), some 150 m from the beaches of the largest seaside resort in Bulgaria - Sunny Beach. Nice quiet very clean family hotel. Perfect location with the strait road to the sea. Breakfast can be better. I spent 7 days there this summer. It's calm, pleasant, the staff is very friendly. Next time I go to BG I will stay there too. Best regards from Lithuania. My wife with our 3 children spend their summer holidays at the seaside in your hotel. Have they possibility to use the Internet in your hotel? 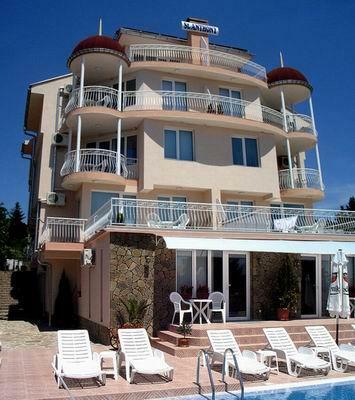 I would like to ask how far is from this hotel to the center of Sunny Beach, should we take the taxi, i'm asking because we will with small child?